Kololi and Kotu are the two busiest resort areas in The Gambia - and where a good portion of the hotels we offer are situated; but there other resort areas along the Atlantic Coast, all with different charms and points of interest. Bakau is a bustling town with a maze of small dirt roads and is an ideal area to experience the real Gambia. Bakau can be a bit overwhelming if you've not travelled in Africa before - but it's so alive and so full of colour and life it'd be a real shame to miss out. We advise either joining a few other people who want to visit, or finding yourself a friendly taxi driver to help you out. There are a few excellent restaurants serving traditional Gambian dishes along with banks, supermarkets, a post office and the popular Kachikally crocodile pool. There's a very good craft market and local fruit and vegetable market along with the famous fish market which is a sight (and smell) to behold. This area of coastline is quite dramatic with red rock cliffs interspersed with small beaches. Care should be taken if swimming in this area. Banjul is one of the smallest capitals in Africa and given it's located on an island - St Mary’s Island, a sandbank at the south of the River Gambia - there is little room for expansion. It's a strange mixture of colonial buildings, shanty buildings and modern offices and is the main administrative centre for the country. Bathurst (as Banjul was originally called) was founded in the early 19th century by the British Army and Royal Navy as a military base to prevent the continuation of the slave trade along the River Gambia. The name was changed to Banjul shortly after The Gambia received its independence from Britain in 1965. Banjul is relatively easy to navigate as the roads are laid out in a grid. The heart of the city is 22 July Square and Royal Albert Market where you can buy anything from spices to shoes. This is where most local residents do their daily shopping, whilst the small tourist and craft market behind offers a good selection of local crafts and some more unusual pieces from neighbouring countries such as Mali and Guinea Bissau. Although Banjul has little specifically aimed at tourists, it's an interesting place and a hive of activity with plenty of hustle and bustle. Banjul Museum, situated in the centre of Banjul, has many items of interest relating to tribal traditions, music, agriculture and the British Colonial years, right up to the present day. 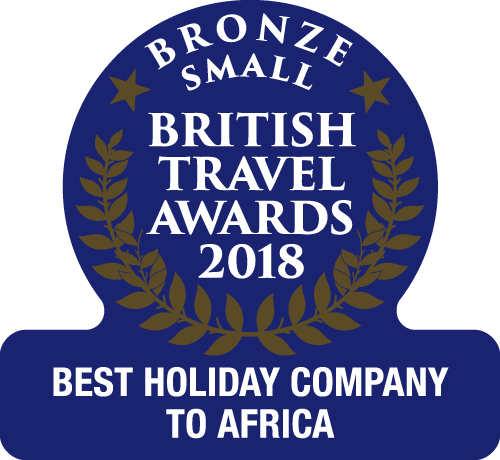 Brufut is approximately 10 minutes south of Kololi - and remains one of the quieter areas of coastal Gambia with a superb beach stretching for miles. There's a large guarded and gated community enclosing luxury villas which has become a popular residential area. The beauty of Bijilo is there's very little here! Situated about five minutes south of Kololi there are no restaurants or nightclubs to disturb the peace, just a couple of beach bars on a long stretch of beach with very few people on it. Grills and salads for lunch with stunning views; extensive Thai menu in the evenings. Cape Point is generally speaking a quieter area than Kololi, but this is gradually changing as more shops and restaurants appear. There are also craft stalls, a mini-market and taxi rank. Bakau is a 10-minute walk from here. The beach at Cape Point is stunning - a wide sweep of golden sand that seems to stretch into the distance; and like the area in general, it tends to be that little bit quieter than Kololi or Kotu. Ocean Bay's à la carte restaurant with an unrivalled position next to the ocean. Fine dining restaurant with fresh seafood delicacies from the Atlantic Ocean. Spectacular beachside setting for informal dining. A popular residential area for both Gambians and expats with some modern and exclusive buildings and home to the British High Commission and MRC (Medical Research Centre). Located between Kotu and Bakau, Fajara boasts a number of very good restaurants a short taxi ride away. The coastline is rocky interspersed with secluded beaches. Fajara also has an 18-hole golf course, just a few hundred metres from the beach. The greens are generally a little browner than you might be used to, and the heat can be fierce during the day, but it's not a bad spot for a quick round... There are other facilities available at the golf course including tennis courts, squash courts and a swimming pool. Fantastic international cuisine with a Mediterranean influence in a superb location overlooking the ocean. Longstanding and extremely popular Indian restaurant. Quality restaurant open for breakfast, lunch and dinner. Enjoy delicious international cuisine under the shade of a bantaba. Enjoy the flavours of pan Asia tempered with archetypal African dishes. Kartong is one of the oldest and unspoilt coastal villages at the southernmost tip of the Kombo Coastal Road. Set very close to the Senegalese border it's home to the only sand mine in The Gambia plus a fishing centre. Kartong, however, is possibly better known for its festival usually held in March hosting the very best of music and dance in West Africa. Further south along the Atlantic coast you can be assured of some secluded and deserted beaches. The sand is golden with varying widths as you travel along the coast, although primarily used by local fishermen to land their boats. Be sure to find a secluded spot if wearing swimwear to avoid offending the locals. Kololi is by far the most established resort area. ‘The Strip’ as it's known locally, consists of a number of bars and a couple of nightclubs, frequented by both locals and tourists. Kololi could probably be called the heart of the tourist industry in The Gambia with a selection of hotels and a craft market. There are a large number of places to eat serving a variety of cuisine styles on the Kololi strip - you can get anything from an excellent curry, a Lebanese dish or a more traditional Gambian meal. There are a whole host of bars and clubs - all of which are open into the early hours. The strip also boasts banks and exchange bureaus, internet cafés and shops. It's generally fairly relaxed in the day and really comes into its own during the evening and night. The beach outside the Senegambia and Kairaba hotels is now greatly improved following the completion of a sand replenishment programme. A wide sand platform has been reinforced offering a relaxing area for sunbeds; there's a drop to sea level with steps outside the hotels linking the levels. You can walk along the beach here at low tide, either up to Bijilo or along to the Kotu area. Traditional Lebanese cuisine with a buffet night on Fridays. Classy restaurant offering International cuisine. A contemporary hot spot for cocktails, tapas and Mexican specialities. A newly opened restaurant quickly gaining popularity with many returning customers. Assortment of cakes, high tea, cocktails, lunch and sundowner service. Bar & restaurant for drinks and/or dinner. A la carte cuisine in a relaxed atmosphere with outdoor dining. Serves lunch and evening meals plus homemade cakes, teas and coffees. Kotu boasts some excellent hotels, with Kombo Beach dominating the beachfront. There's also the quieter charm of Bakotu and the popular Bungalow Beach. The area also has a busy and boisterous craft market in which you can find batiks and all manner of superb wood carvings. Kotu has a number of good restaurants and past the Bungalow Beach hotel there are also now a couple of beach bars (including the excellent Sailor's) and the golf course is also nearby. Another wide sandy beach which is fairly flat although not a very deep beach in terms of distance to the ocean. The area outside the Sunset Beach can change quite dramatically depending on the direction of the Kotu stream. The Kotu area is very fertile thanks to the presence of the Kotu stream and consequently harbours an astonishingly wide range of bird species. The bridge over the stream is a legendary spot from which to watch birds, and it's said that you can spot up to 100 species in a day, though this remains a currently unclaimed rumour. Whatever the truth, you can comfortably stand here all day and see all manner of waders, kingfishers, birds of prey and great clouds of whistling ducks as they fly from their roosts out to sea. There are always plenty of government-sponsored guides on hand as well, all prepared to show you around the area and impart their considerable birding wisdom. Freshly cooked Indian cuisine at very reasonable prices. Great food in a relaxed atmosphere plus ocean views. Excellent food in an attractive outdoor setting. A la carte oceanfront restaurant with wonderful food, great service and a tranquil atmosphere. Makasutu is a tropical 1000-acre reserve encompassing five different eco systems including gallery forest, savannah, mangroves, palm forest and wetland. Wildlife is plentiful here with many bird species, monitor lizards, baboons, monkeys and the occasional mongoose can be spotted at the riverbanks. The project at Makasutu, meaning ‘sacred forest’ in Mandinka, was founded by two British men, the late James English and Lawrence Williams. The ‘cultural forest’ is now a popular and premier eco tourist destination. The cultural forest is still home to the indigenes people of the area, which visitors can meet on expertly led guided walks through the bush after learning the history and myths of Makasutu. Visitors even have the chance to sample locally famed palm wine and observe the oyster women on their daily collections or visit Makasutu’s holy Marabou man. Crafted dug out canoes, also known as pirogues are also another popular activity, drifting along in amongst the mangroves of the river with a likelihood of seeing a variety of local birdlife. The Makasutu area in October 2010, was host to the first Wide Open Walls project. The village of Kubuneh was turned into a living art installation by a number of the world's leading street artists, including Eelus, Broken Crow and Logan Hicks. The project is going to be an ongoing one, with villagers tending and adding to the artworks, and new artists returning each year to continue the development. The Wide Open Walls project will be part of the Makasutu excursion and if you wish to see it in action then please speak to your rep. The Wide Open Walls blog. The national park was established in 1978 and is made up of a complex of five islands that lie on the downstream of Janjangbureh, Georgetown. The five islands are collectively known as Baboon Islands which cover an area of approximately 1,445 acres (585 ha.) and are relatively flat. It forms one of the last refuges for the very threatened hippopotamus within The Gambia. Their ecological systems range from lush jungle rainforest, reeds, savannah and mangrove swamps. An interesting place to visit is the Chimpanzee Rehabilitation Project which lies on the banks of the river and was established in 1969 to rescue orphaned chimps. There are over 100 Chimpanzees living on three of the larger islands. The population is steadily increasing through births. In addition to reintroducing an indigenous species to the country, the existence of the park's project on Baboon Islands has assisted in protecting the forest and its resources from over exploitation. Although it is not possible to land on the islands as it is a conservation project, it possible to see the creatures while on a boat cruise or you could stay at the projects accommodation camp located on the river bank and see them up close. The animal life on this section of the River Gambia National Park includes hippopotamus, Nile crocodiles and monkeys and many species of birds. South Kotu is compact with a cluster of bars and restaurants with just a couple of small hotels here. The restaurants and bars are situated on the road leading down to the beach. South Kotu is a quiet area. Here you'll find a few very good restaurants, and a couple of bars and stalls. We highly recommend the Shiraz restaurant if you fancy some Lebansese food! Italian dishes served throughout the day and evening, popular for home-made ice creams. Excellent home cooked Lebanese food, very popular.